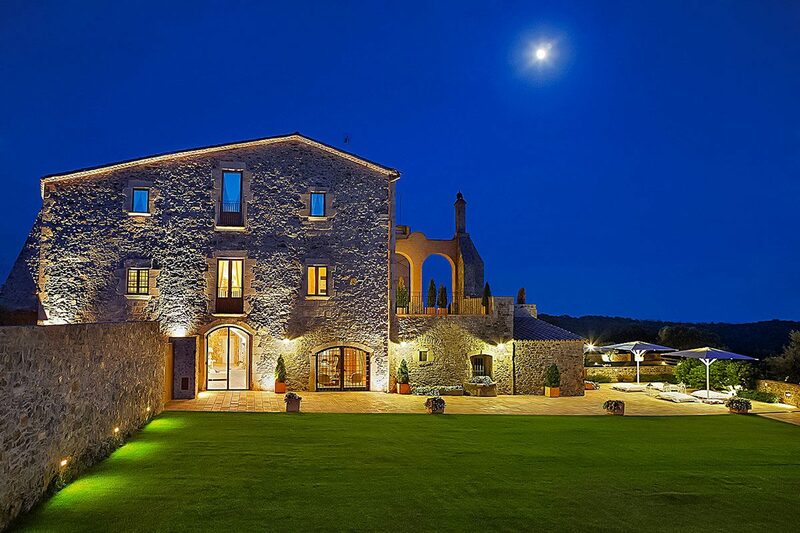 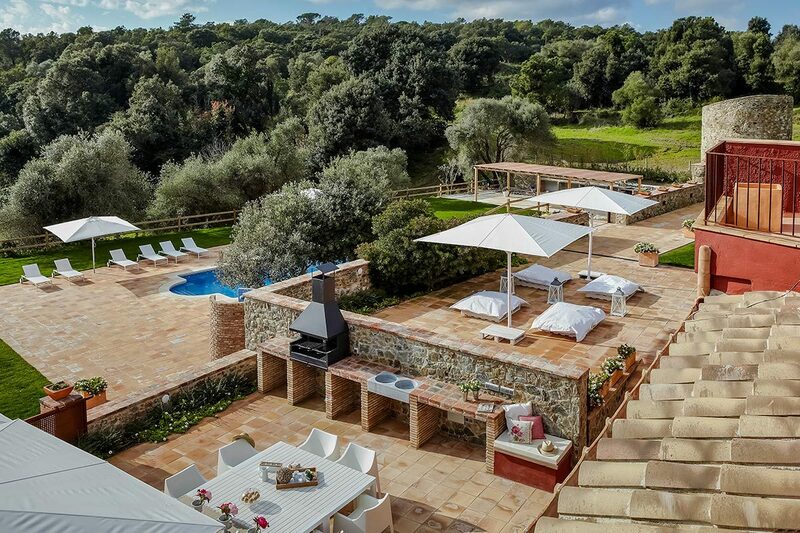 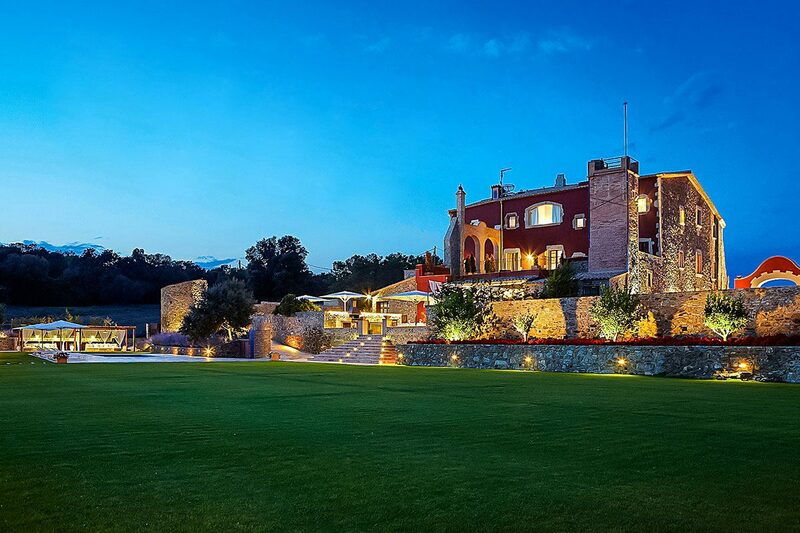 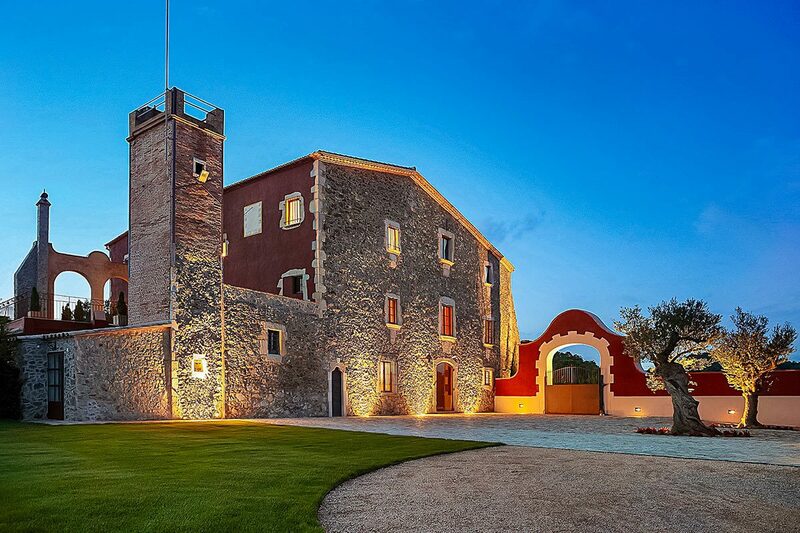 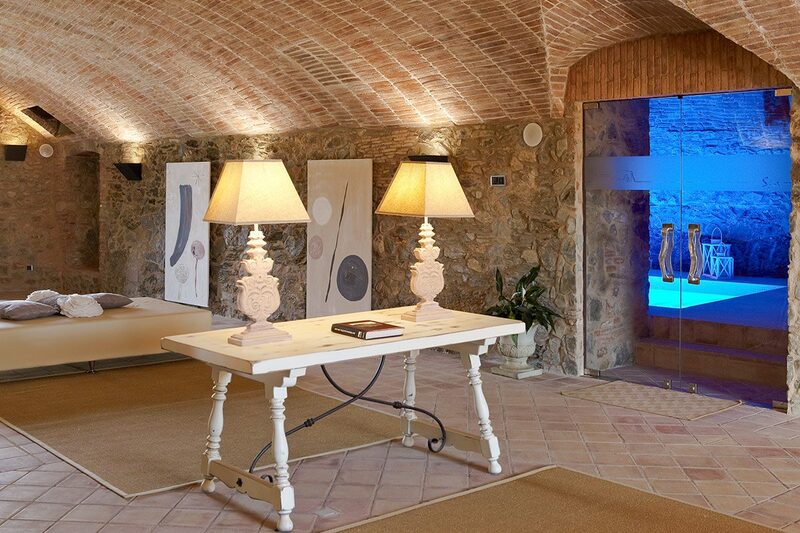 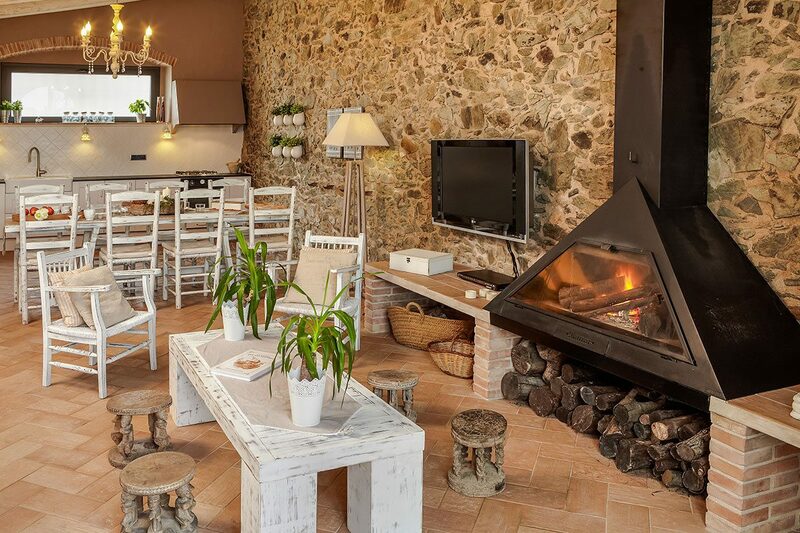 This grand 14th Century Catalan manor house offers a unique opportunity to experience elegance, luxury and tradition in a beautiful and unsurpassable peaceful location, yet, only a stone’s throw from the sea. 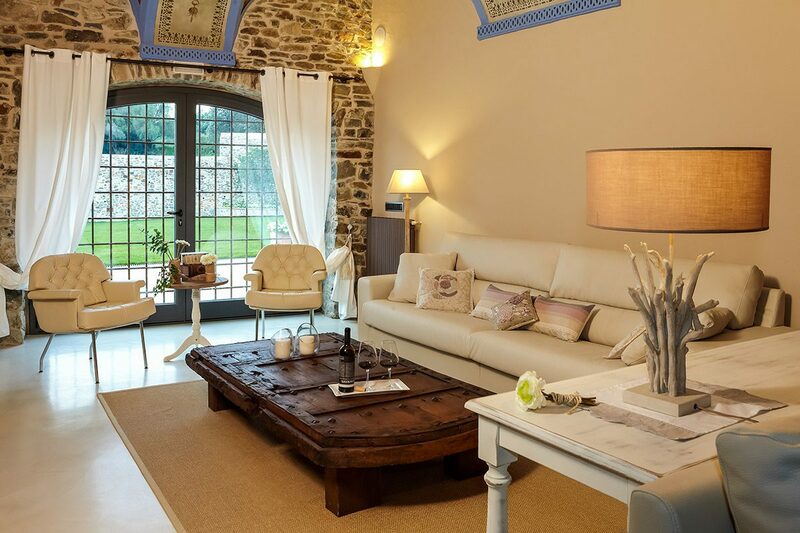 Spread spaciously over three floors and tastefully restored to retain much of its original character and charm, the property sleeps up to 28 people in 10 bedrooms, each with en suite facilities, air-conditioning and central heating. 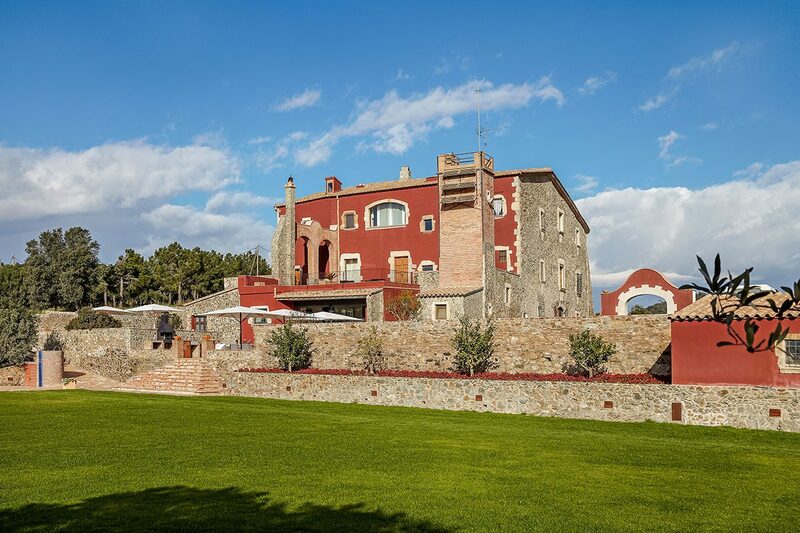 An imposing property, Mas Torroella stands in acres of rolling countryside where uplands of dense forest contrast with verdant, flowering meadows to create a real life landscape oil painting. 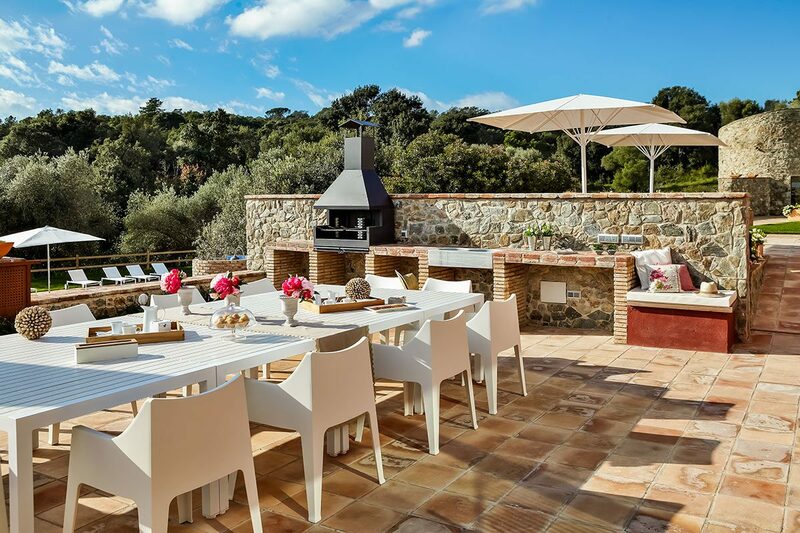 From the large first floor sun terrace, views of the sparkling azure Mediterranean stretching out into the distant horizon remind us that this essentially rural setting is but a 10 minute drive from some of most picturesque and unspoilt coastal beauty spots to be found along the Catalan coastline; Aigua Blava, Tamariu and Llafranc to name but a few. 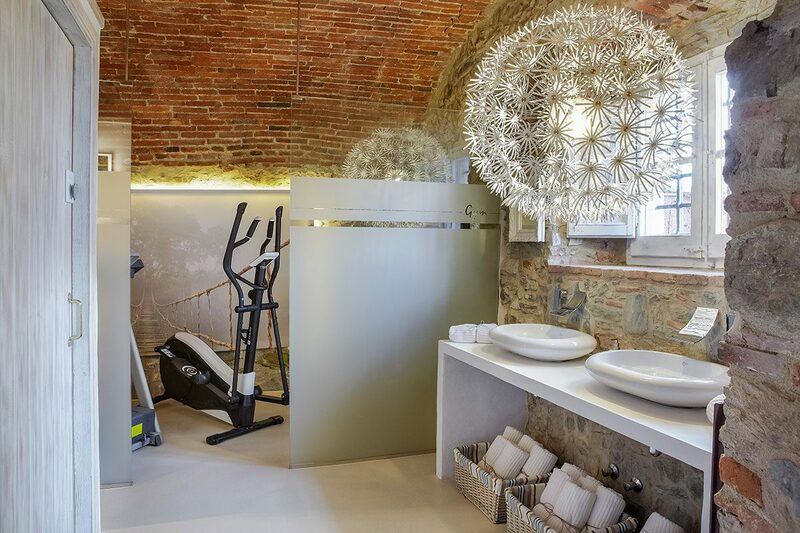 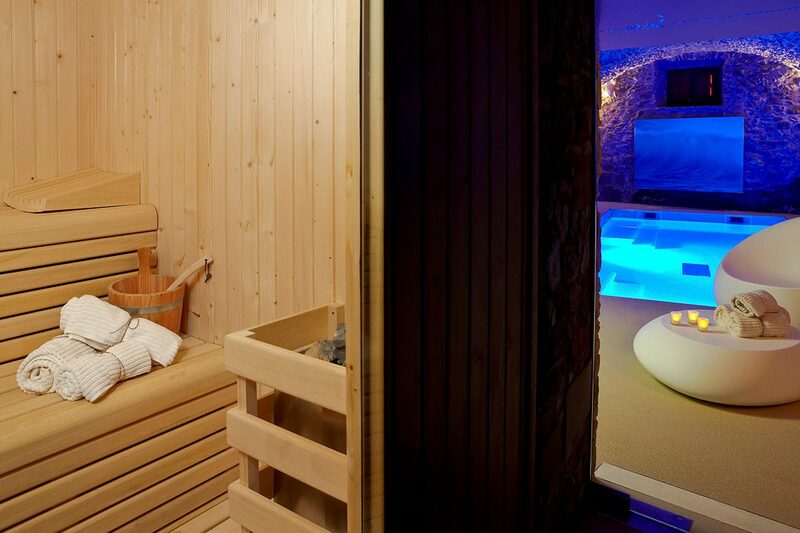 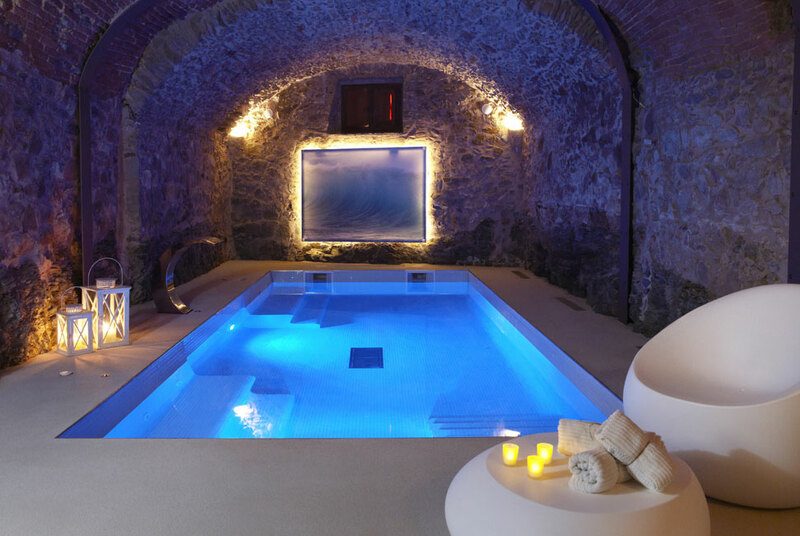 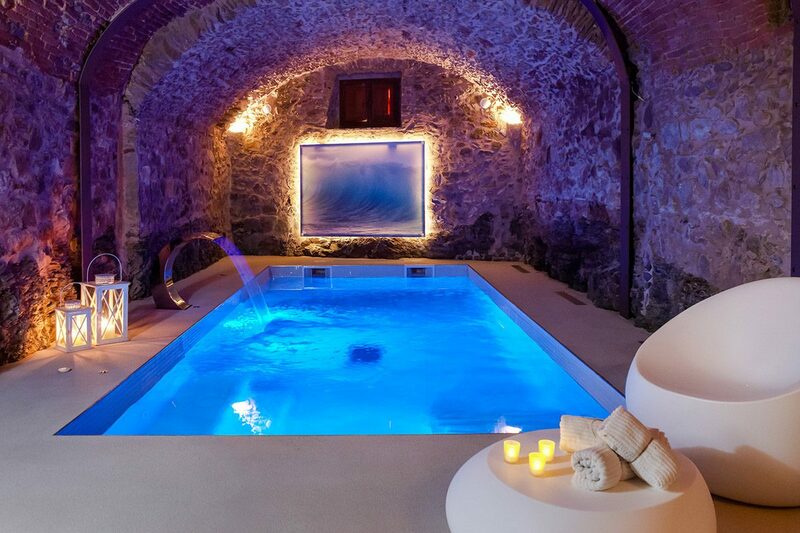 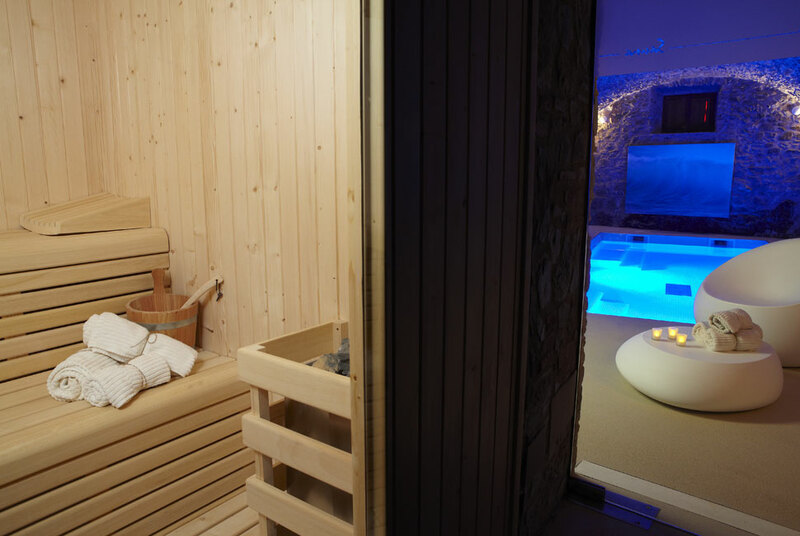 Perhaps the most impressive area of this exclusive manor house is that of the Private SPA, which is home to an indoor heated swimming pool with incorporated Jacuzzi, a Finnish sauna and a fitness room. 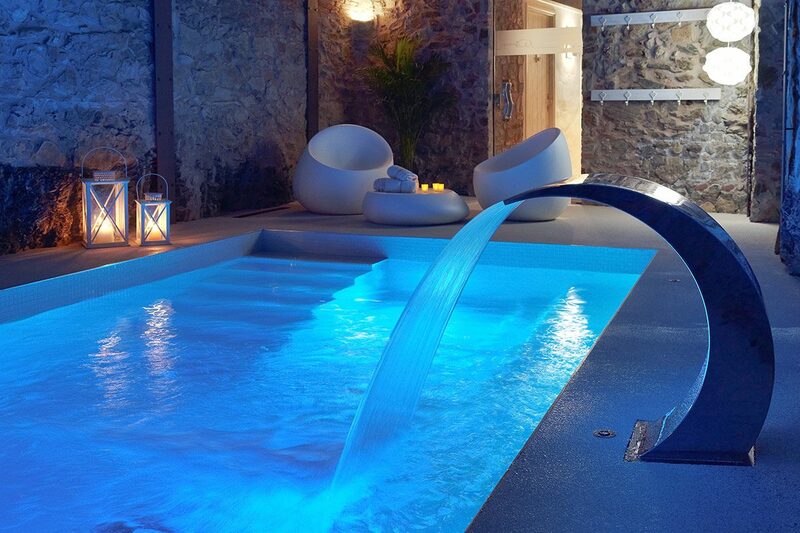 We have yet to venture OUTDOORS! 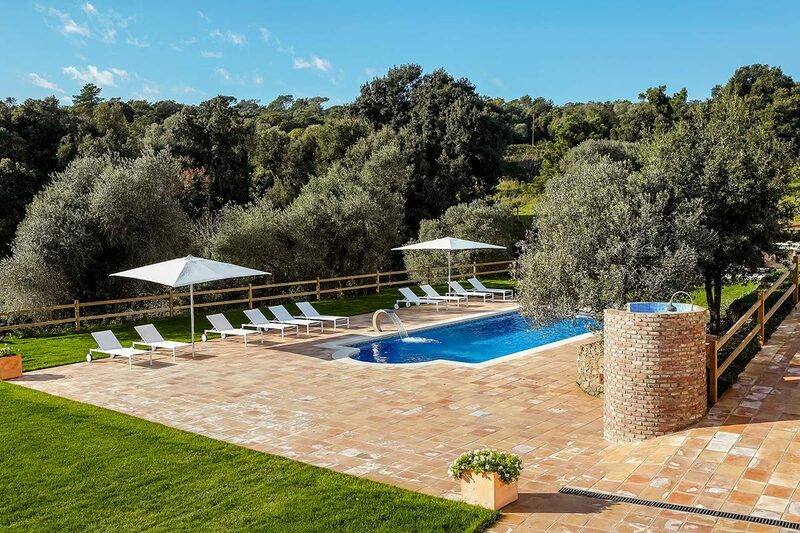 Externally, immaculate lawns, colourful flower beds and lush shrubbery are complimented by a superb swimming pool. 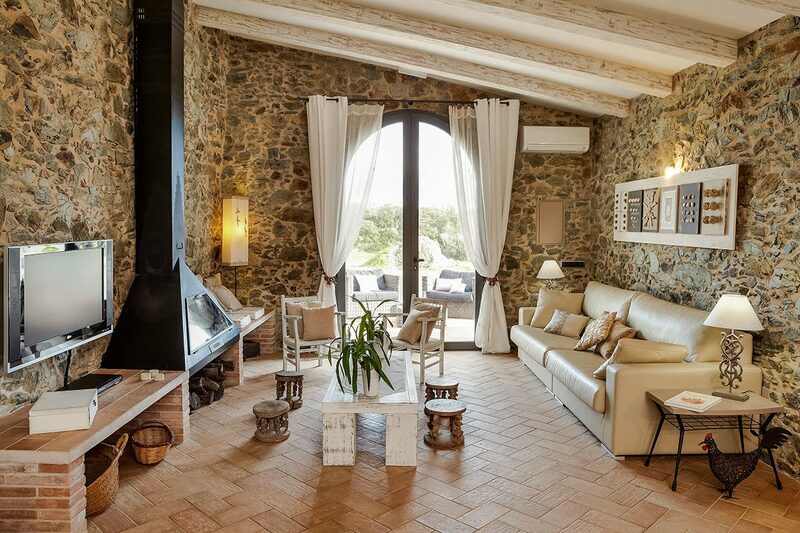 Numerous shaded corners and chill-out areas, sun terraces, a poolside pergola, barbecue and outdoor dining areas adorn the grounds making them perfect for relaxing in during the day or by romantic candlelight in the evening. 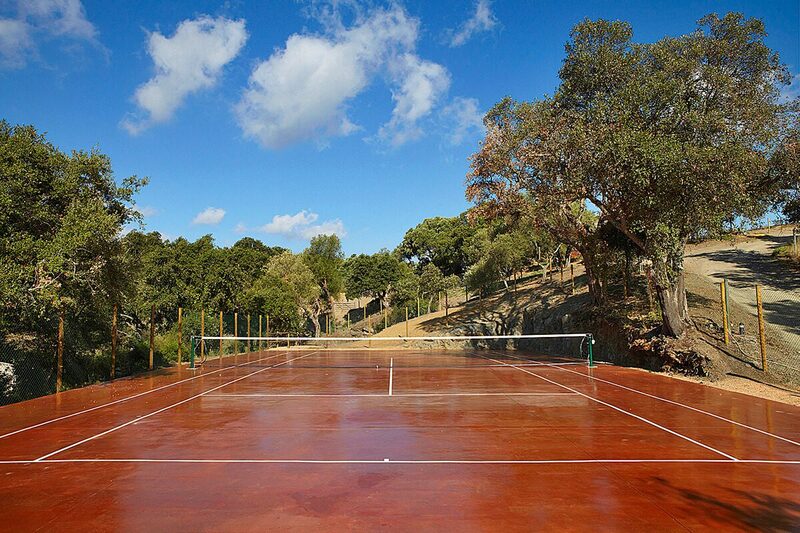 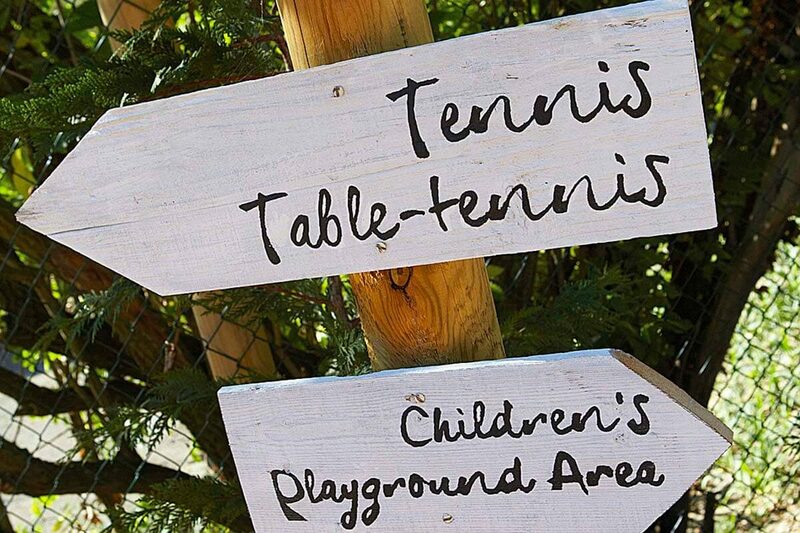 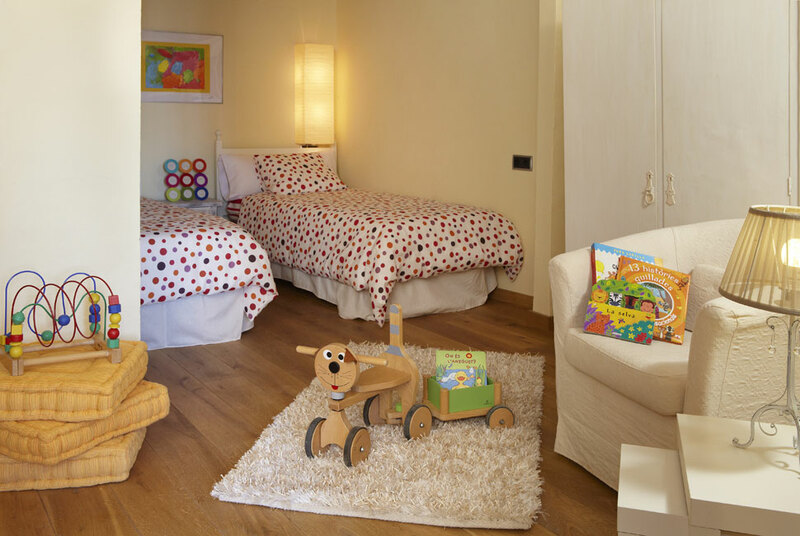 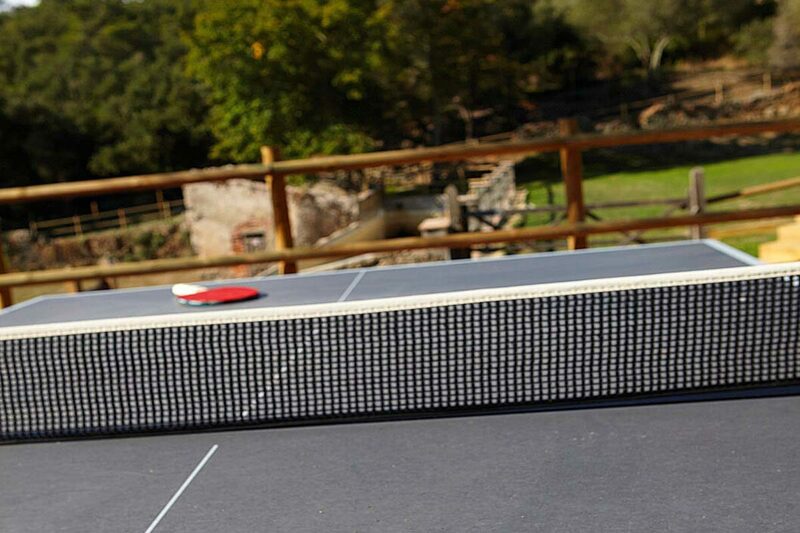 Guests can also enjoy, in total privacy, a full size tennis court, a table-tennis court, and a children’s playground area. 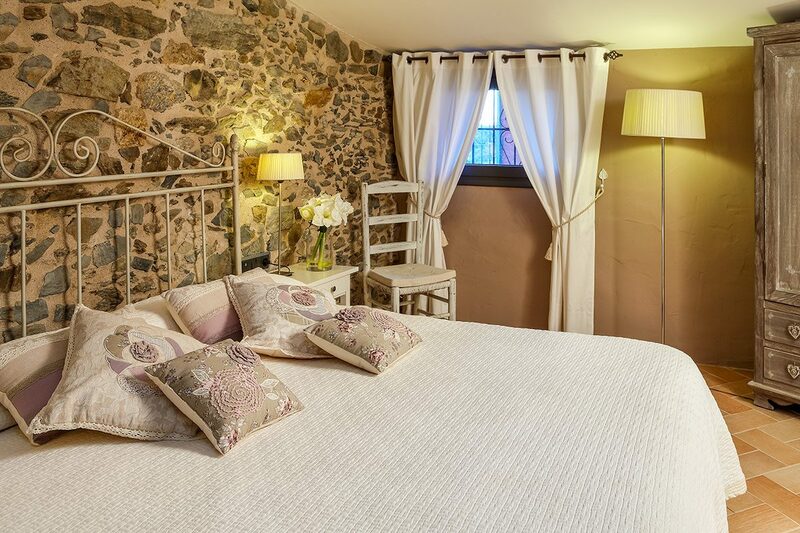 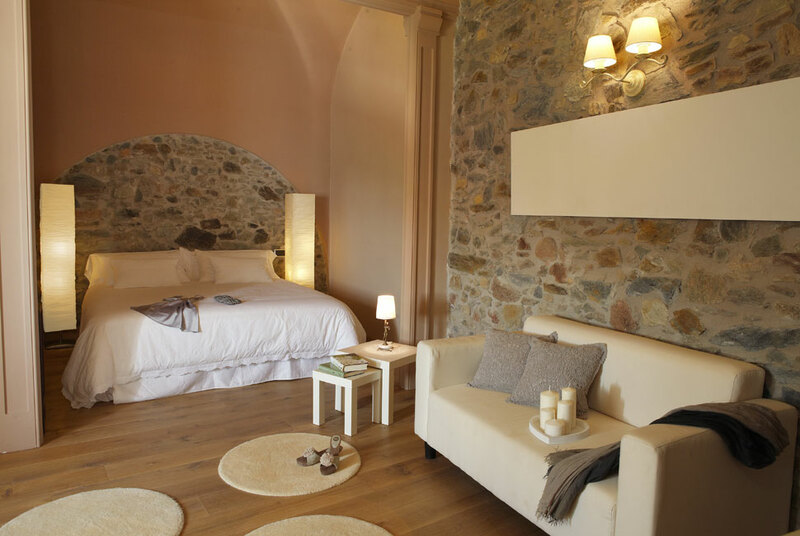 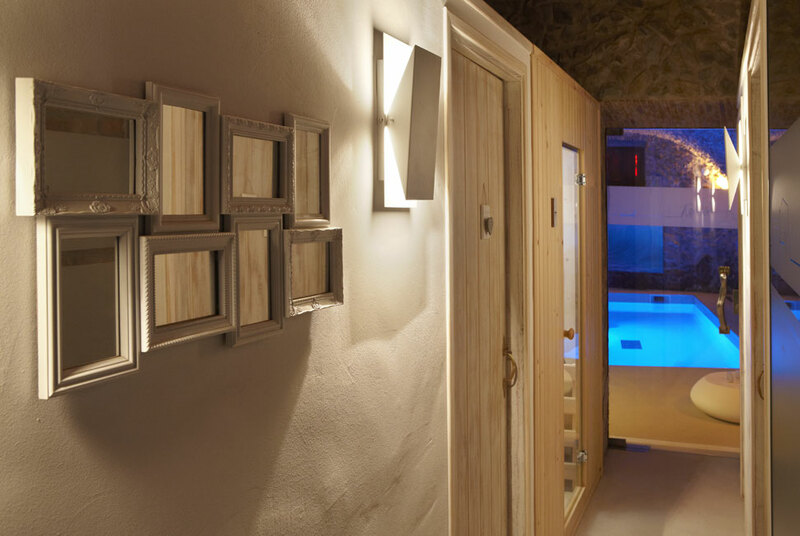 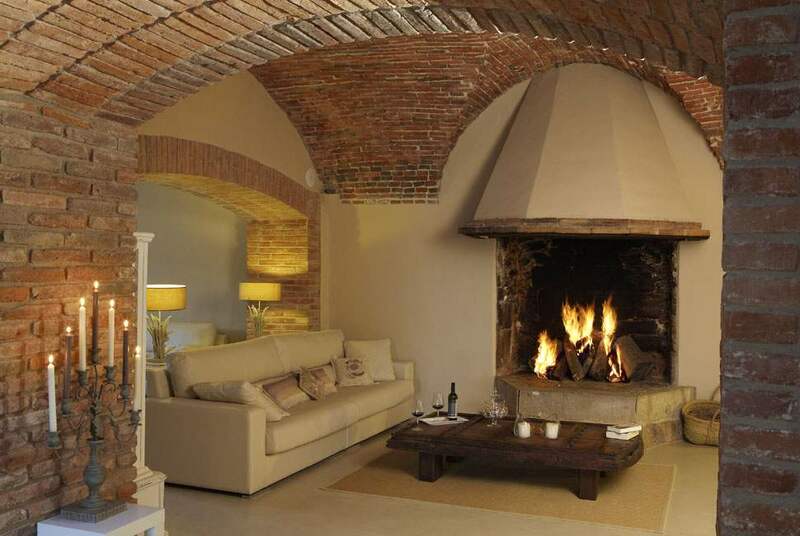 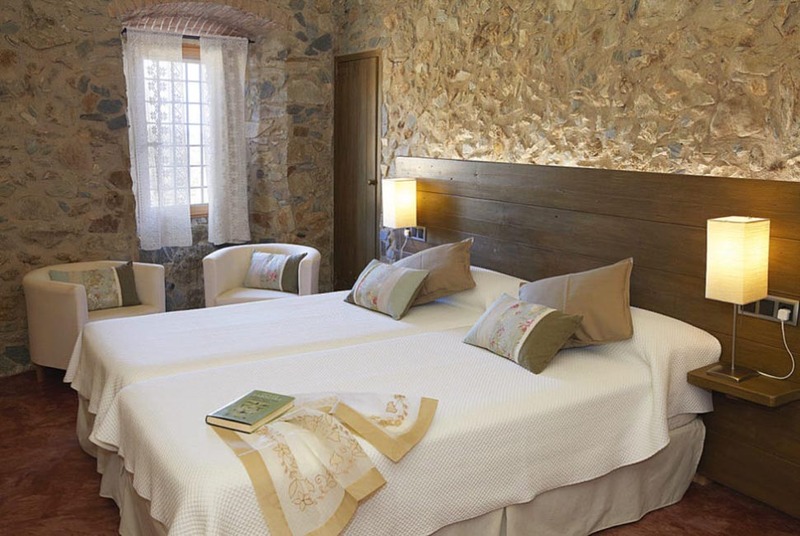 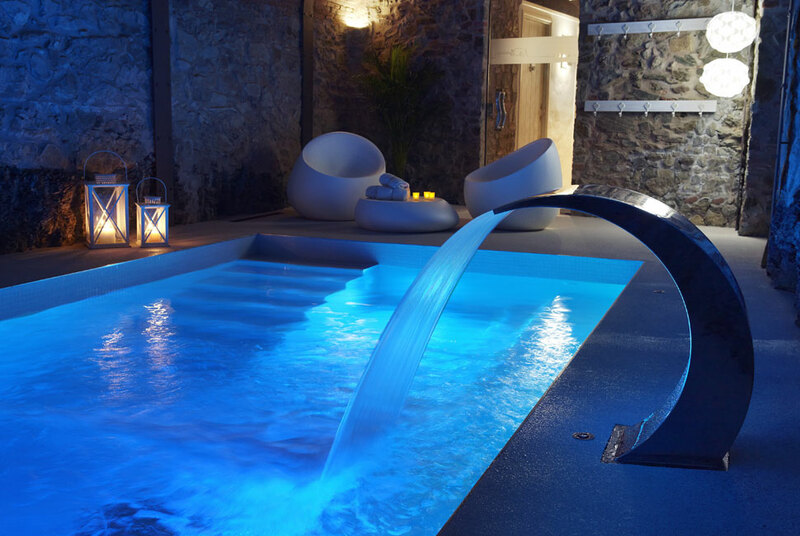 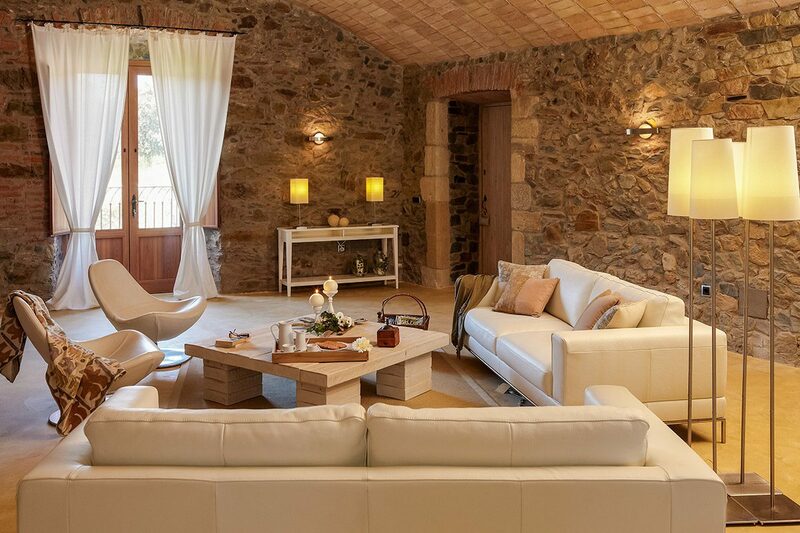 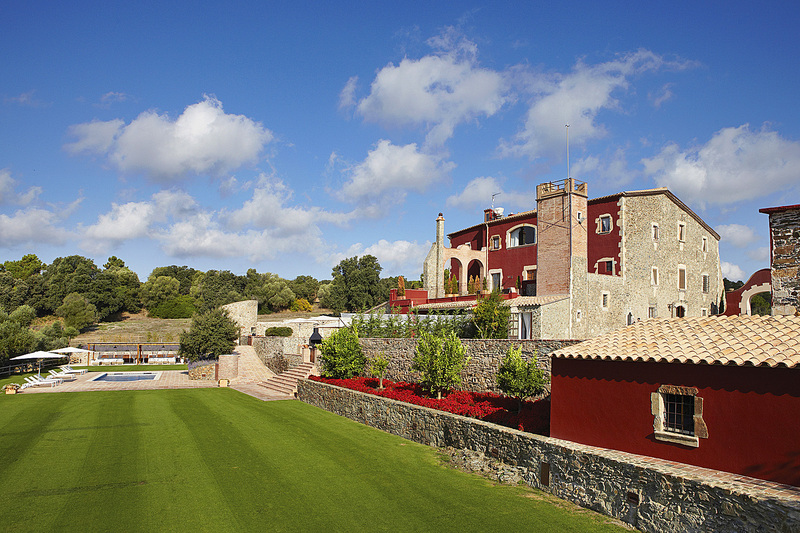 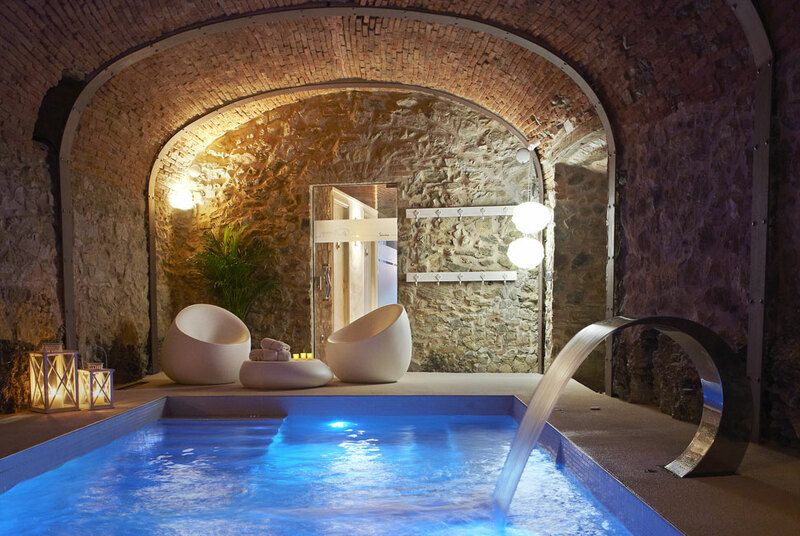 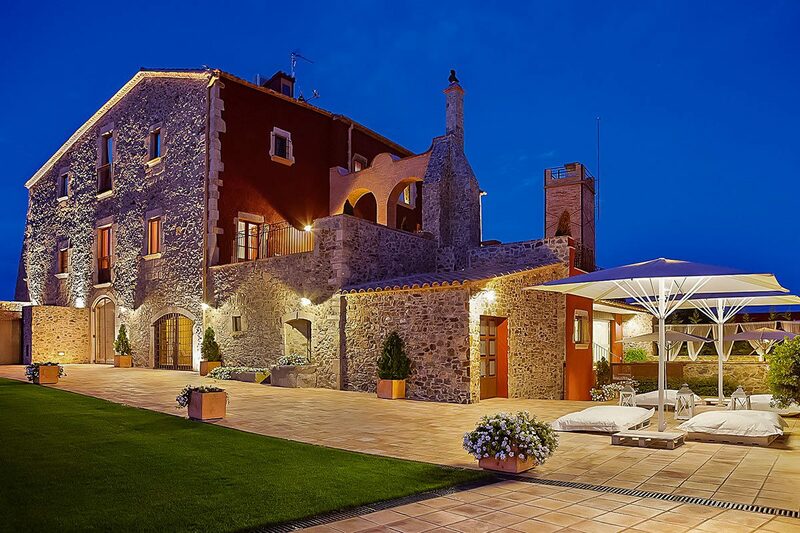 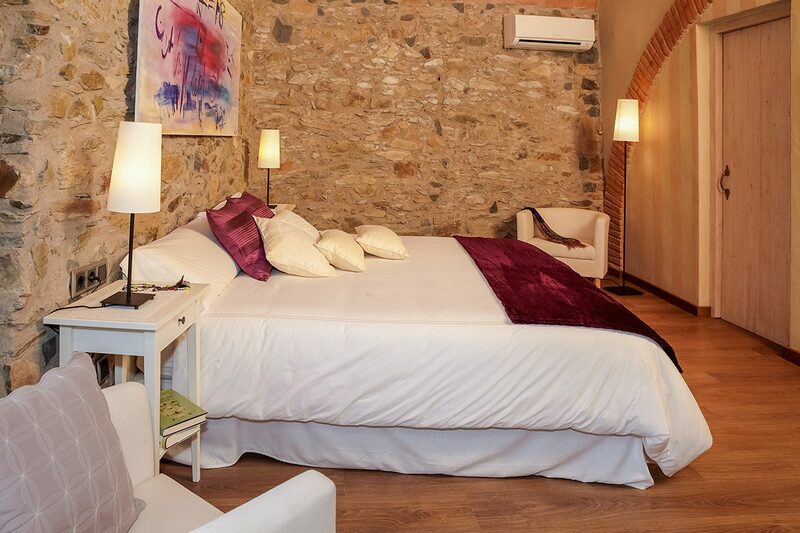 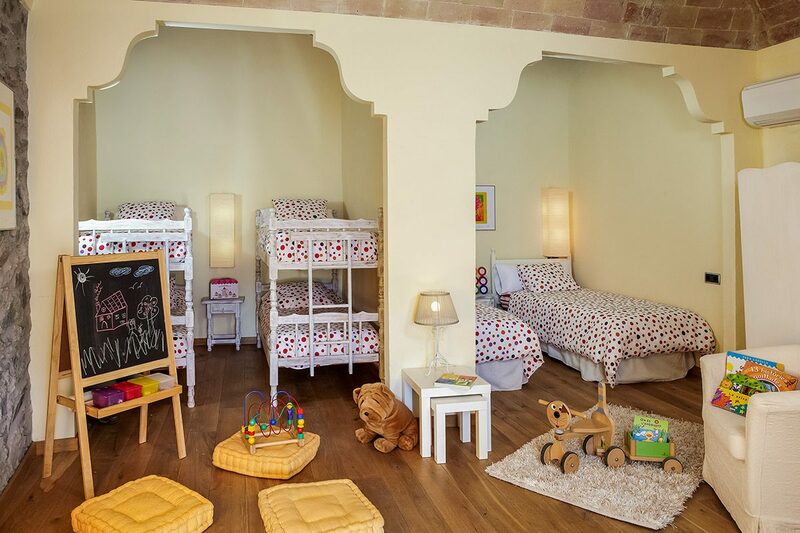 Mas Torroella has been tastefully restored to the highest standard of luxury, elegance & refined comfort whilst retaining the charm of a traditional 14th century Catalan “Masia”. 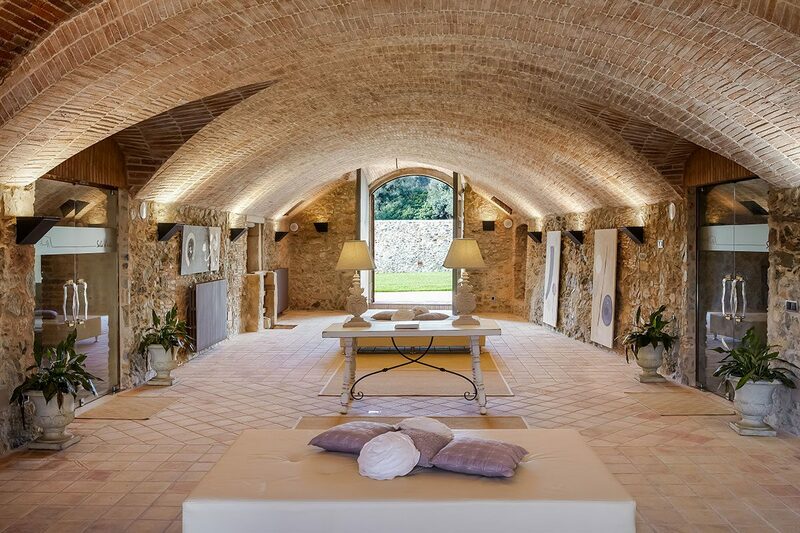 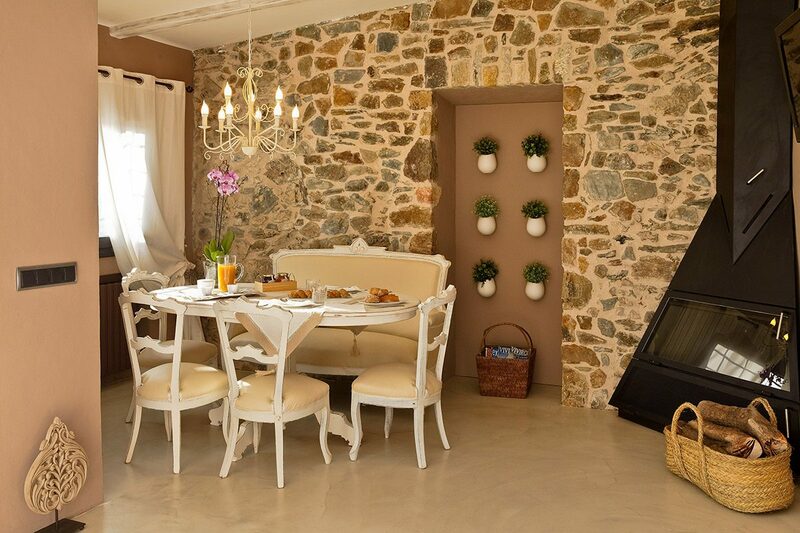 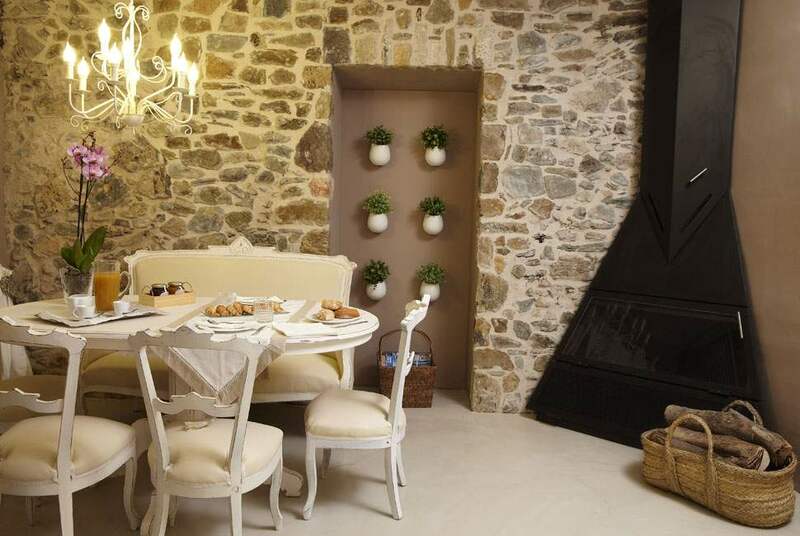 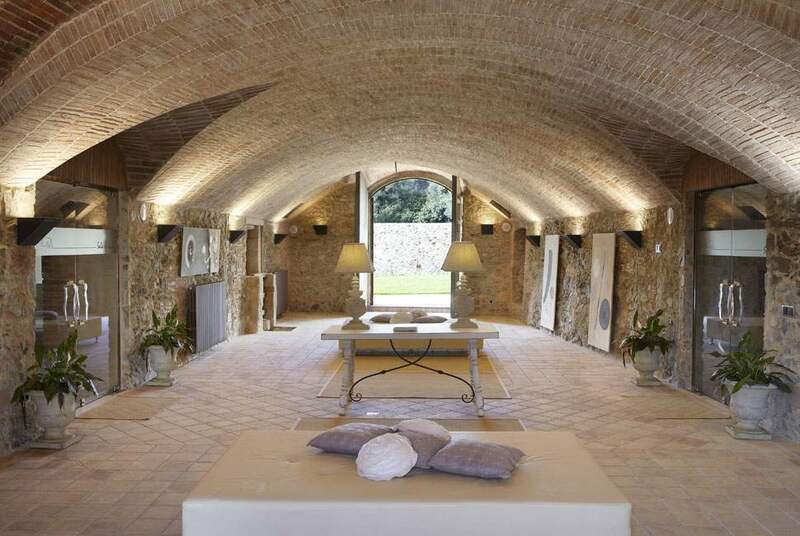 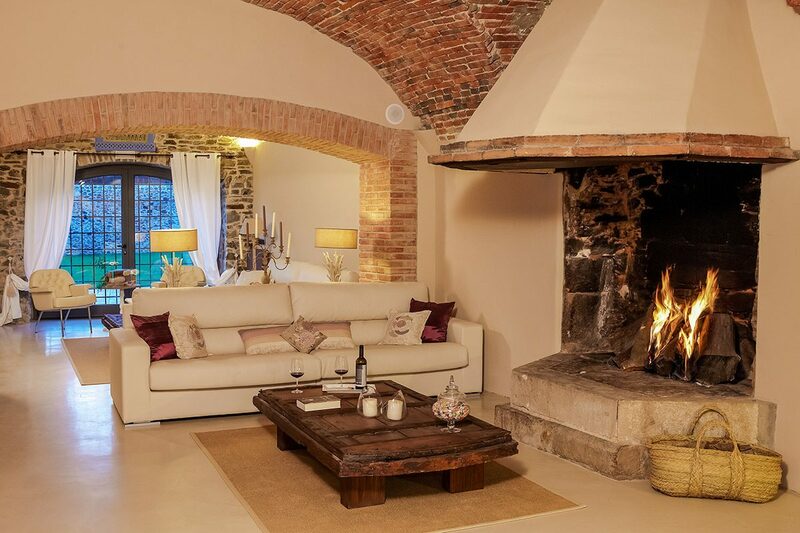 Spreading spaciously over three floors, an abundance of exposed stone work, vaulted & hand painted ceilings combine to create an ambiance of rustic elegance that is complimented by an exquisite mixture of traditional and contemporary fabrics & furnishings. 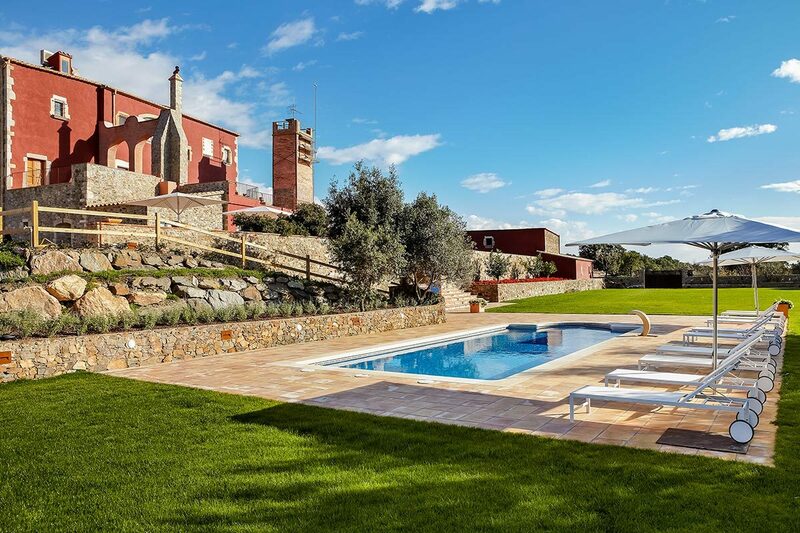 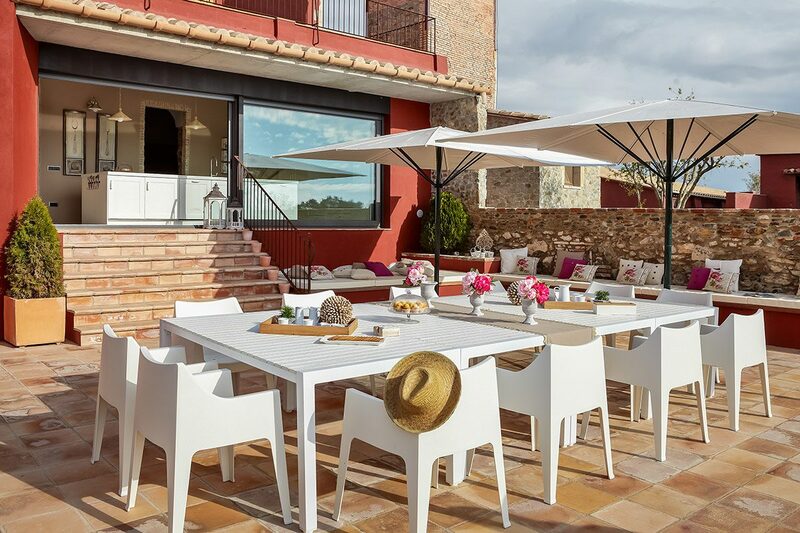 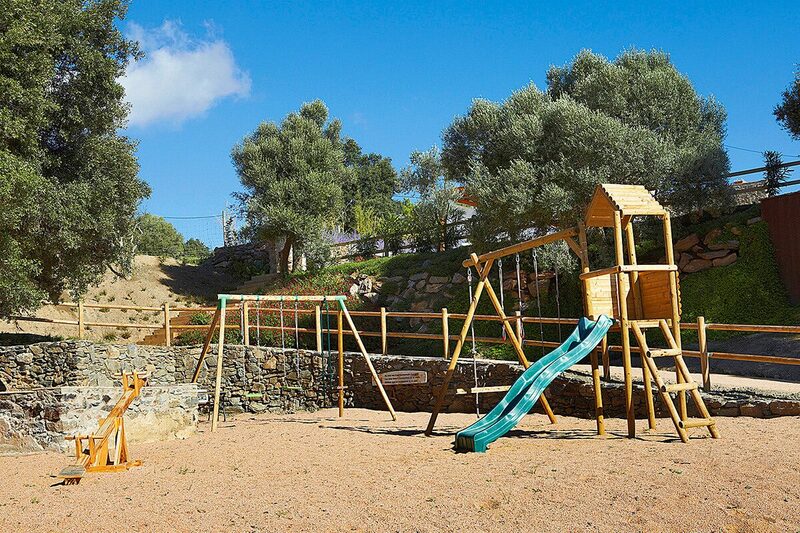 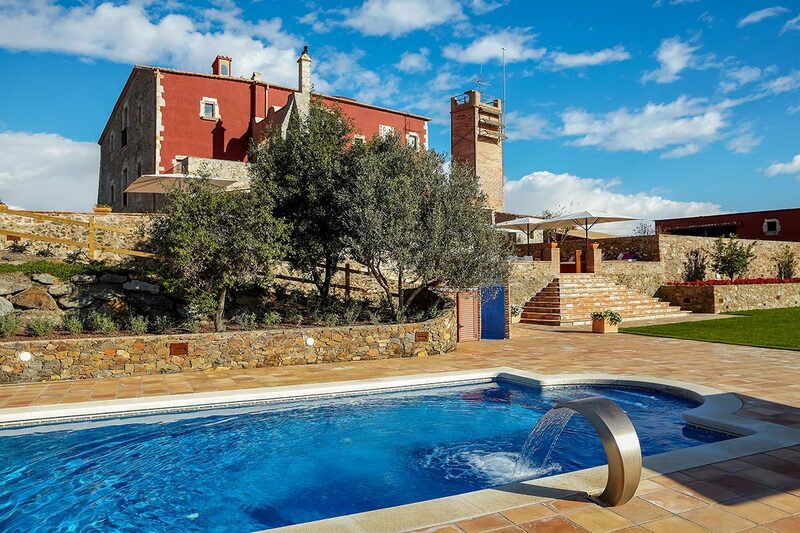 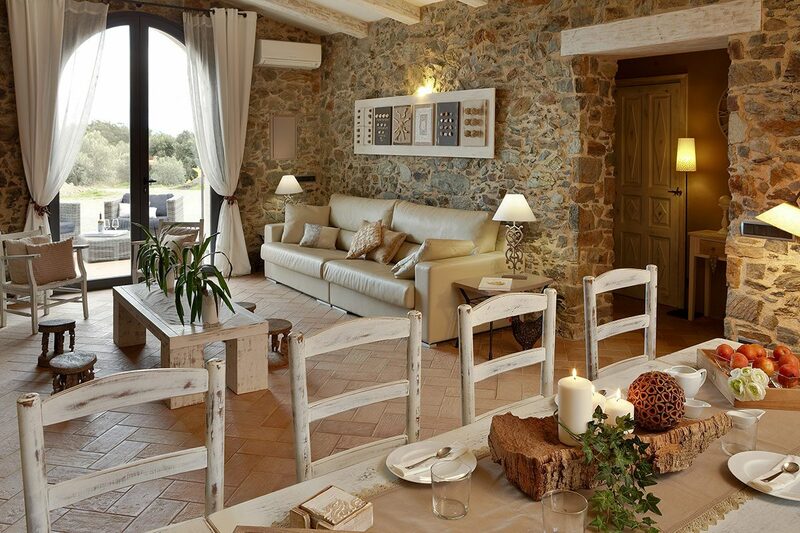 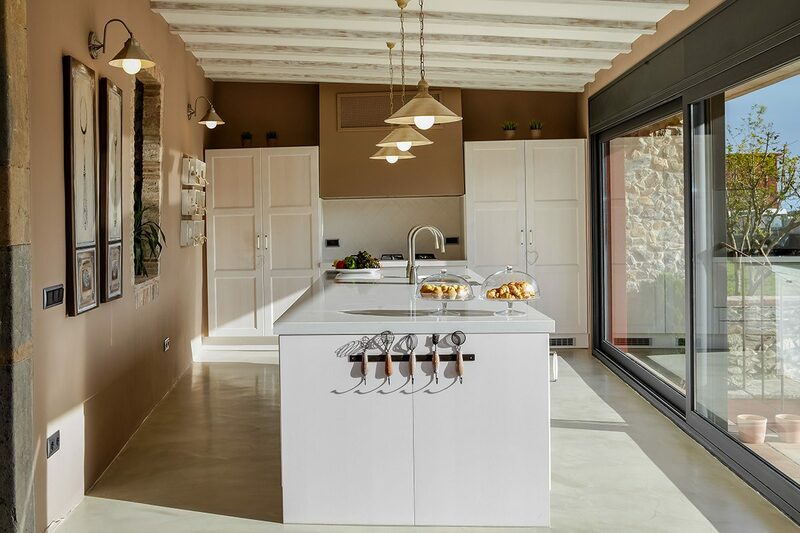 MAS TORROELLA is an impressive property that exudes comfort and quality, great for large groups, with amazing spacious areas both in and outdoors. 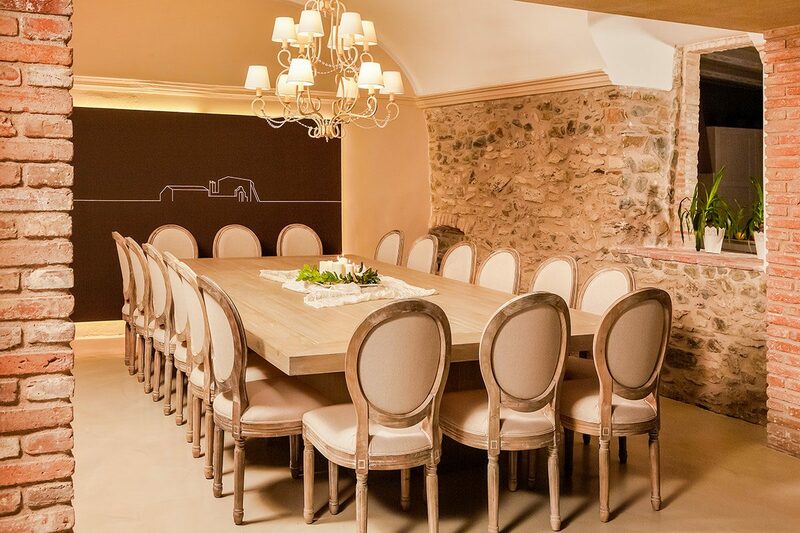 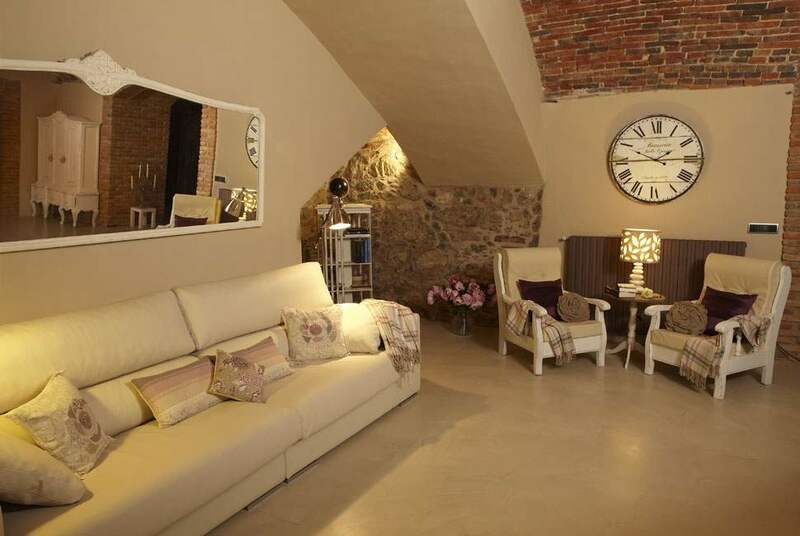 It has a unique, elegant and classy interior that makes the most of its romantic vintage décor. 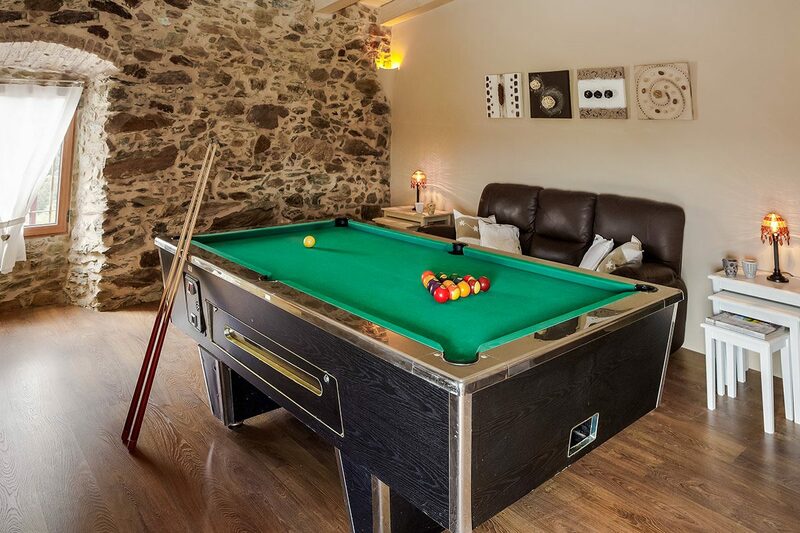 Each well proportioned bedroom enjoys en suite facilities, air conditioning and central heating, whilst a selection of stylish sitting rooms, a pool room, TV room and library afford a level of intimacy for all, making this an ideal venue for large groups of family and friends.